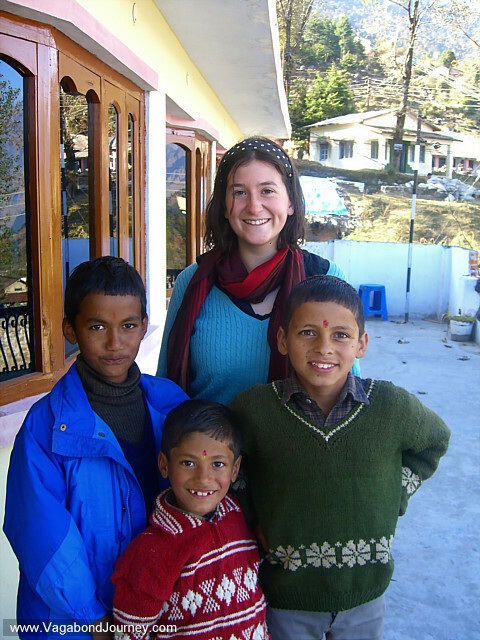 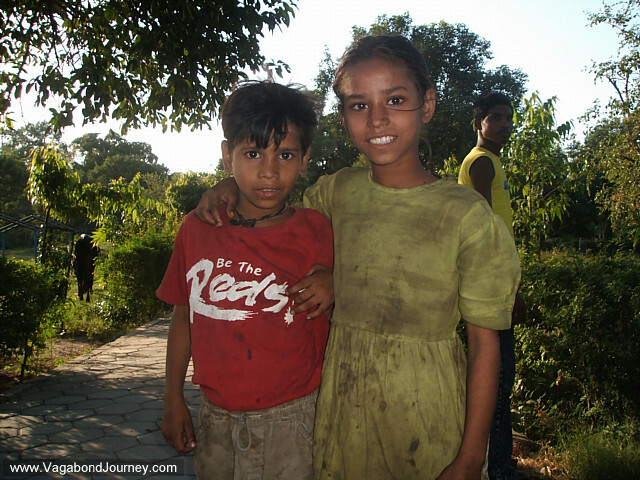 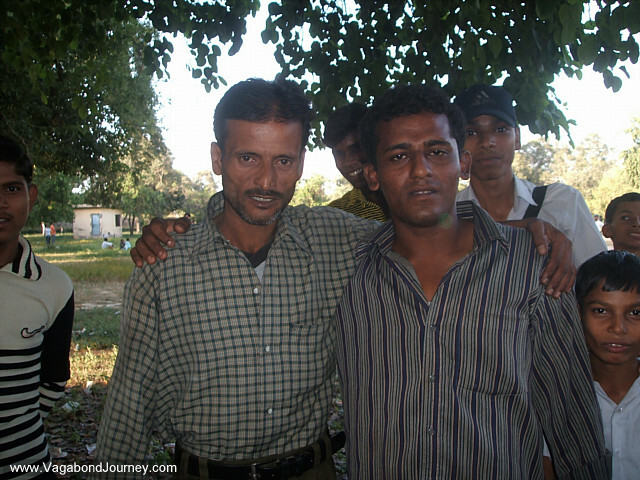 Chaya with Indian boys in the foothills of the Himalayas, Munsyari, India. 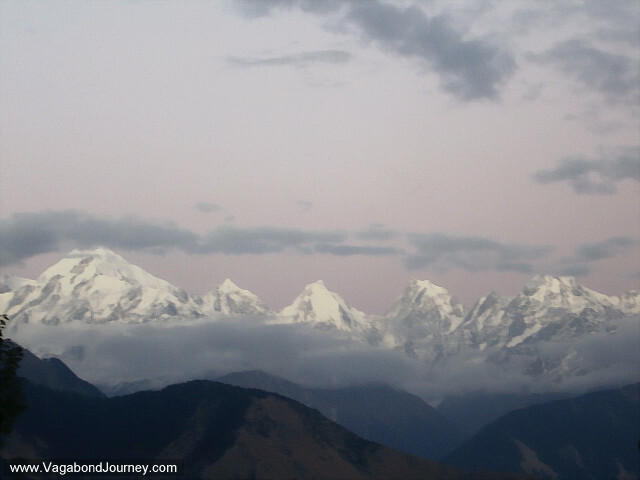 Himalayan mountains as seen from India, Tibet is on the other side. 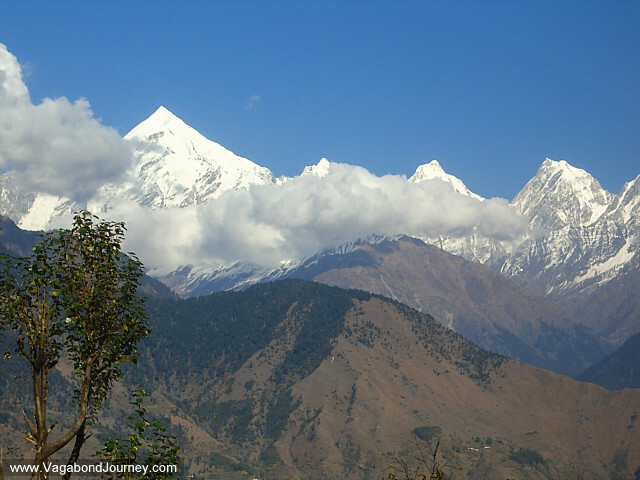 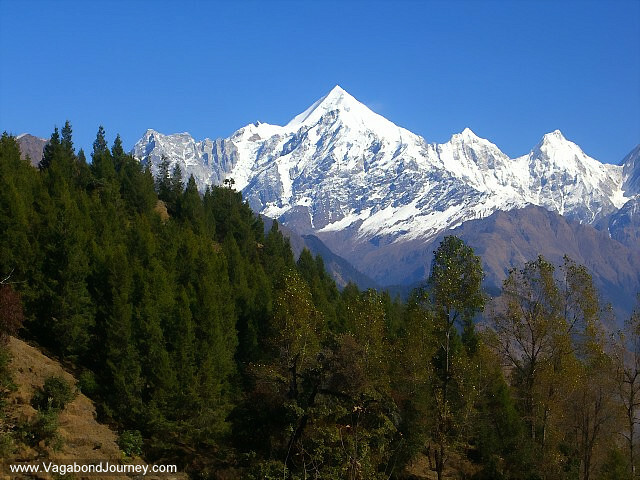 Snow capped peaks of the Himalayas in front of the forest hills in India. 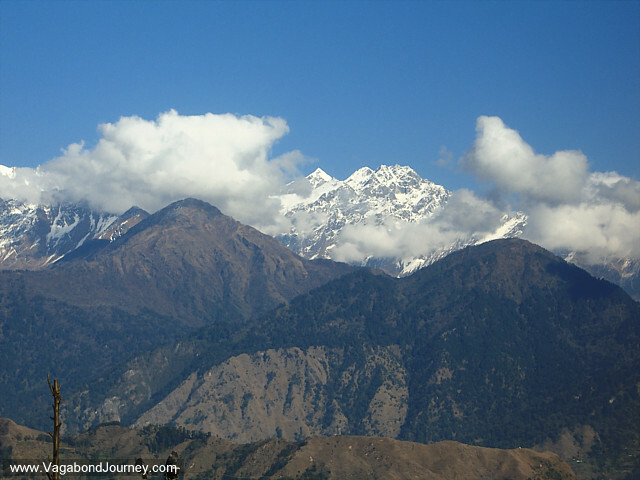 Clouds over the mountains in India. 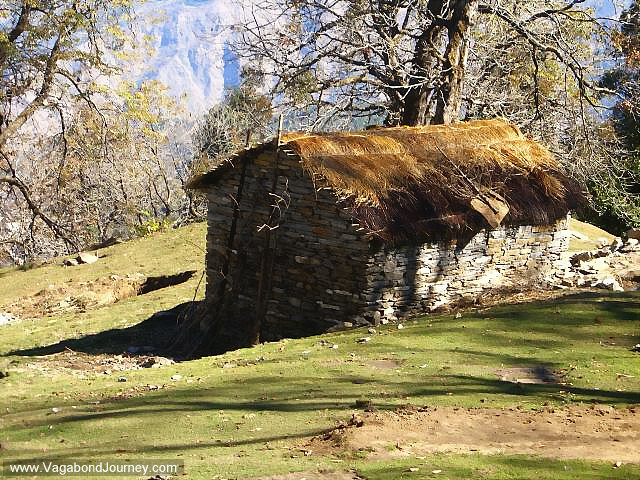 Stone house with straw thatched roof on a mountainside in India. 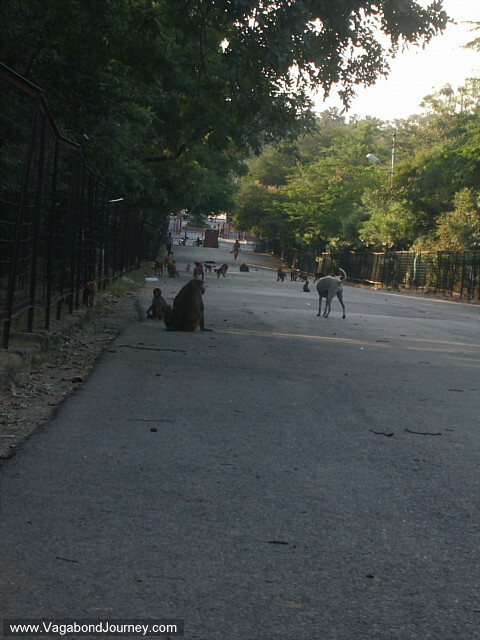 Monkeys roaming the street of a park by the University of Delhi.